The University of Thessaly is one of two higher education Institutions in the area of Thessaly Greece. The university enrolls over 10.000 graduate and undergraduate students in 17 Departments that focus on Engineering, Agriculture, Pedagogics, Medicine, and Physical Education. The Department of Electrical and Computer Engineering, which enrolls approximately 1.000 students, builds a wide range of knowledge, including the deployment of technology in educational contexts. With about 20.000 students in its eight schools, the Porto Polytechnic (IPP) is excellence in higher education and a space of ideas and results. IPP is a dynamo of cultural change, in the city, in the region and in the country. IPP ranks fourth among Portuguese higher education institutions and is the fifth in number of students. The School of Engineering, ISEP, has been pioneering education and research in Engineering since 1852. ISEP has more than 6.000 students in total. As future engineers, ISEP’s students produce creative solutions for present or upcoming challenges, becoming agents of global progress. The University of Central Lancashire (UCL) in Preston was founded in 1828 as the Institution for the Diffusion of Knowledge. ‘Ex solo ad solem’, or in translation, ‘From the Earth to the Sun’, has been its motto ever since – helping people from all walks of life to make the most of their potential is what UCL’s all about. Today UCL is one of the UK’s largest universities. With a student and staff community approaching 38.000 it is one of the largest employers in the North West of England. Internationally UCL has academic partners in all regions of the globe and it is on a world stage that the first class quality of its education was first recognised. 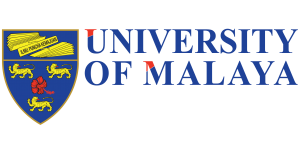 The University of Malaya (UM) is the foremost premier university in Malaysia, first established in 1957. Its 750-acres campus lies within the heart of Kuala Lumpur city and this strategic location is truly an advantage for international academic staff and visitors. University of Malaya is the first choice to the Malaysia’s top students as well as the international top students from more than 80 different countries. With its mission to advance knowledge and learning through quality research and education for the nation and humanity, UM nurtures and manages talents for the nation. It is also committed to produce quality graduates through transformative and conducive learning experience which supports the local community and nation building efforts. 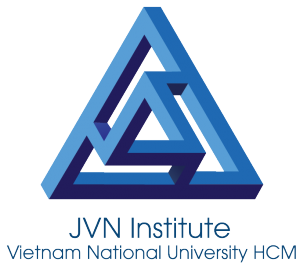 JVN, the public research and post­graduate education institution and is the center of excellence of Vietnam National University – Hochiminh City (VNU.HCM) in applied mathematics, systems science, knowledge science and information science. As of 2016, JVN is providing two post­graduate programs in (i) Information and Communication Technology (ICT) with major in Data Analytics, and (ii) Quantitative and Computational Finance (QCF). Both programs involve instructing competencies in statistics, probabilities and machine learning inherent data science. 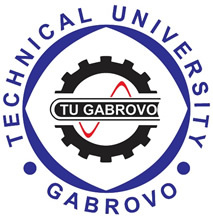 Technical University-Gabrovo is one of the officially recognized technical universities in Bulgaria. It provides bachelor, master and PhD degree courses in engineering, business, public administration and social work. It has 3 faculties: Faculty of Mechanical and Precision Engineering, Faculty of Electrical Engineering and Electronics, Faculty of Economics, and a Department for Language and Specialized Training. There are about 5000 students and 210 teachers/trainers/tutors. In line with the thrust of our faith and glory of our heritage, we shall try our best to play an effective and meaningful role in creating a knowledge based society in Pakistan. This avenue would naturally and seamlessly lead to a civil society with knowledge driven economy. In furtherance of these general objectives, we shall focus upon acquisition and propagation of cutting edge science and technologies. Recognizing the fact that Information Technology is having a profound impact upon almost every aspect of human activity and changing the shape of our future. We shall retain our focus, for the time being, on producing graduates in Computer Science, Engineering, Business Management and Basic Sciences as well as managers of the highest order who may act as vanguard of the IT Revolution in Pakistan. Tallinn University is the third largest university in Estonia consisting of 6 institutes and 2 colleges. It has more than 8500 students as well as almost 500 faculty members and research fellows, and is the fastest growing university in Estonia. Its main strengths lie in the fields of humanities and social sciences, but it also has a strong and constantly growing component of natural and engineering sciences, as well as a notable tradition of teacher training and educational research. The amount of applied research as well as cooperation with enterprises is rapidly growing in the field of fine arts, educational technology, health and social sciences. Tribhuvan University (TU) is a public university in Kirtipur, Kathmandu, Nepal. Established in 1959, TU is the oldest of the five universities in Nepal. Enrollment in 2013-2014 was tenth largest in the world. The university provides undergraduate and graduate education. More than 4,400 courses are offered, of which 500 are for intermediate-level courses (equivalent to higher secondary school), 2,079 are for undergraduate and 2,000 are for postgraduate programs. The university has 85 integral colleges and more than 600 affiliated colleges throughout the country. Since it is government financed, it is less expensive than private universities. TU consists of five semi-autonomous institutions. 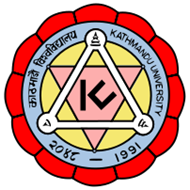 KU was established in 1991 as an autonomous, not-for-profit, non-governmental institution dedicated to maintaining high standards of academic excellence in Nepal. It is committed to developing leaders in professional areas through quality education. Its vision is to become a world-class university devoted to bringing knowledge and technology to the service of mankind. Its mission is to provide quality education for leadership. The aims of the long-term strategy for its development are to achieve excellence in teaching; to provide strong support for its professional courses; and to strengthen research activities in the fields of environment, energy, medicinal plants, and information technology. UBB is a young public university in Cambodia, established in 2007, to provide opportunities to students living in rural areas, especially in the north-western part of Cambodia, to have access to higher education services in order to develop their individual careers as well as to that of local communities while also reducing knowledge gaps between the rural and urban. UBB is set a goal, is to educate the leaders of tomorrow in a wide range of fields through a balance of theory and practice. UBB works closely with local community, government and non-governmental organizations, companies, and consortium universities in the region and the world. 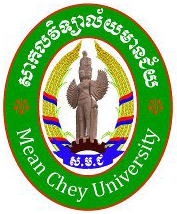 Meanchey University opened its first academic year on 17 March 2008, presided by H.E Sor Kheng Deputy Prime Minister, Minister of Interior. Was officially inaugurated on 04 April 2008 by Samdech Techo Hun Sen, Prime Minister of the Royal Government of Cambodia. MCU‘s goal turning a bloody battle field into a quality human resources training centre, giving opportunities to students in the north-west part of Cambodia to undergo higher education, without leaving their villages and spending much money on travelling, food, and accommodation, contributing to the national poverty reduction of the people, complying with the dimension in the rectangular strategies of the Royal Government of Cambodia. The Institute of Technology of Cambodia (ITC) is a Cambodian Higher Education Institution which was founded in 1964. More than 10000 executive members have been graduated from ITC and they are currently working intensely on the economic and social infrastructure development of Cambodia. In the current context of globalization and fast transformations of new technologies ITC’s main concerns are to play an efficient role in the Cambodian society and to be at the cutting edge of development to improve our educational system. Its goal is to provide students with a high quality education in the fields of engineering sciences and technologies. Students are provided with technical know-how and skills of analysis which allow integration and evolution in the labor market. ITC contributes to maintain sustainable development and decrease the inequalities within our society through its internal functioning and opening-up to foreign countries and the way their students get admitted. 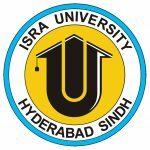 ISRA University is owned by ISRA Islamic Foundation, a non-profit organization, certified by Pakistan Centre for Philanthropy (PCP). The University is recognized and highly ranked by the Higher Education Commission (HEC) of Pakistan. In its short history of eighteen years, the University has grown from 30 students in the Fall Semester 1997 to more than 4000 students, at the present time. The university main campus is situated in the historical city of Hyderabad, with additional campuses in the metropolitan city of Karachi and the capital city of Islamabad. The University, currently offers more than 40 degree programs ranging from bachelor’s to Ph.D. levels, in a wide variety of fields of study. The university also provides short courses and diploma programs in different areas. The university timely arrange research seminars on various topic to update students on current trends in their areas of study and to support them in the research activities. Hanoi University is one of the oldest institutions of higher education in the capital (1959). Hanoi University (HANU) combines the best of a rich cultural heritage of Hanoi with a vibrant academic experience. It counts with 17,000 studets, 1000 staff members and 230 partner universities. HANU’s mission is to produce a high quality workforce at under-graduate and graduate levels. Therefore, their core values stand as: internacionalization; innovation and inter-disciplinary training and education. HANU offers multi-disciplines courses at under-graduate and graduate levels delivered in foreign languages (e.g. English and Japanese) and continues to build on its main strengths and foundation that supported the college at its beginning more than 50 years ago. Hanoi University of Science and Technology (HUST), School of Information and Communication Technology (SoICT), one of seven key ICT departments in Vietnam, was established in March 1995. Nowadays, after 20 years of development, all the staffs have established and developed a standard foundation which is composed of the basic elements: the staff, the training quality and the effectiveness of scientific research and technology transfer. In the last twenty years, the engineers, masters, doctors studied and trained at SoICT have been highly appreciated by the society and had stable jobs. The mission of SoICT is to bring the society and community the best quality of training activities, scientific research, technology transfer and ICT services, as well as to effectively contribute, together with other units in HUST, to the national industrialization and modernization and the higher education system development in Vietnam. Universiti Tenaga Nasional, a wholly owned subsidiary of Tenaga Nasional Berhad, Malaysia’s largest power utility company, is one of the earliest private institution of higher learning in Malaysia. The university is made up of three main colleges that specialise in information technology, engineering and business respectively. Operating in two branches, both Putrajaya and Sultan Haji Ahmad Shah campuses comprise a total of about 3500 academic and support staff. Established more than 20 years ago, the university aims at producing competitive and sought after graduates by preparing them to become knowledgeable and competent professionals, and developing them as well-rounded individuals with intellectual outlook.